Raymond Hoofs worked at NASA Kennedy Space Centre, the Brazilian Space Agency and last 15 years at European Space Agency (ESA). Raymond Hoofs worked at NASA Kennedy Space Centre, the Brazilian Space Agency and last 15 years at European Space Agency (ESA). 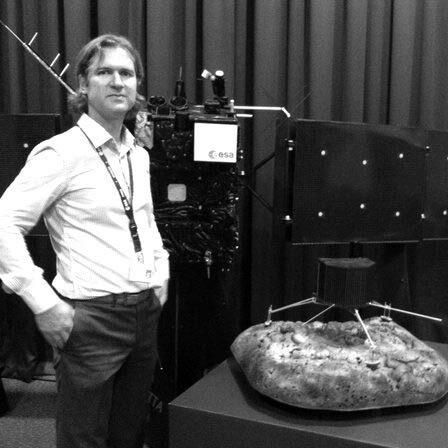 Raymond Hoofs started working as Science Operations Engineer on Rosetta Spacecraft development in 1999 until Rosetta Launch and in orbit commissioning in 2004. After that, he worked on Venus Express (to Venus) and Bepi Colombo (to Mercury) before returning to Rosetta for the arrival and Landing on the Comet.